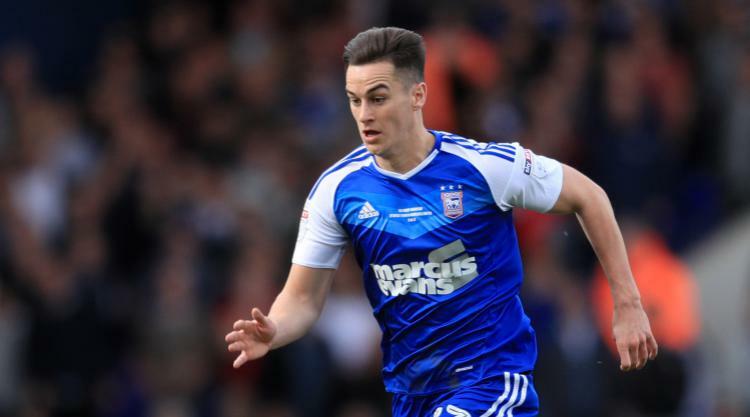 Derby have signed forward Tom Lawrence from Leicester for an undisclosed fee. Wales international Lawrence, 23, has committed to what Derby describe as "a long-term contract" and is the Rams' fourth summer signing. Derby announced on their official website: "Derby County have moved to bolster their attacking options by completing the signing of Leicester City forward Tom Lawrence." Neither club has stated the sum involved but several newspaper reports have suggested Sky Bet Championship outfit Derby are paying £7million to the Foxes. Lawrence spent last season on loan at Ipswich and was named the club's player of the year after scoring 11 goals in 36 appearances. He progressed through Manchester United's academy but made only one first-team appearance before moving on to Leicester in September 2014 and has also had loan spells at Carlisle, Yeovil, Rotherham, Blackburn and Cardiff. Derby had previously signed Curtis Davies, Andre Wisdom and Tom Huddlestone during the summer transfer window.